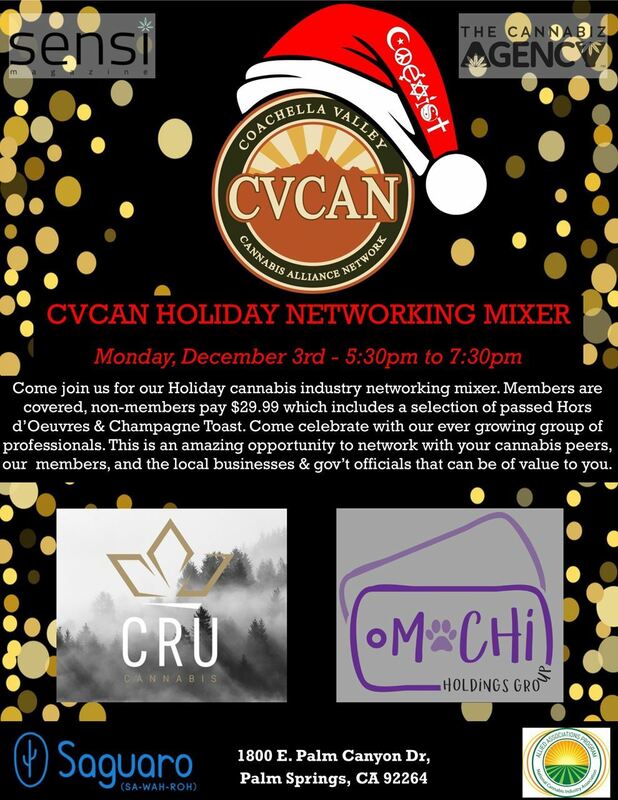 JOIN US MONDAY, DECEMBER 3rd FOR CVCAN'S ANNUAL HOLIDAY MIXER! NO SPONSOR PRESENTATION! JUST STRAIGHT NETWORKING IN A JOLLY HOLIDAY ATMOSPHERE! Enjoy a selection of passed hors d'oeuvres, as well as a champagne toast brought to you by Mochi Holdings & CRU Cannabis. 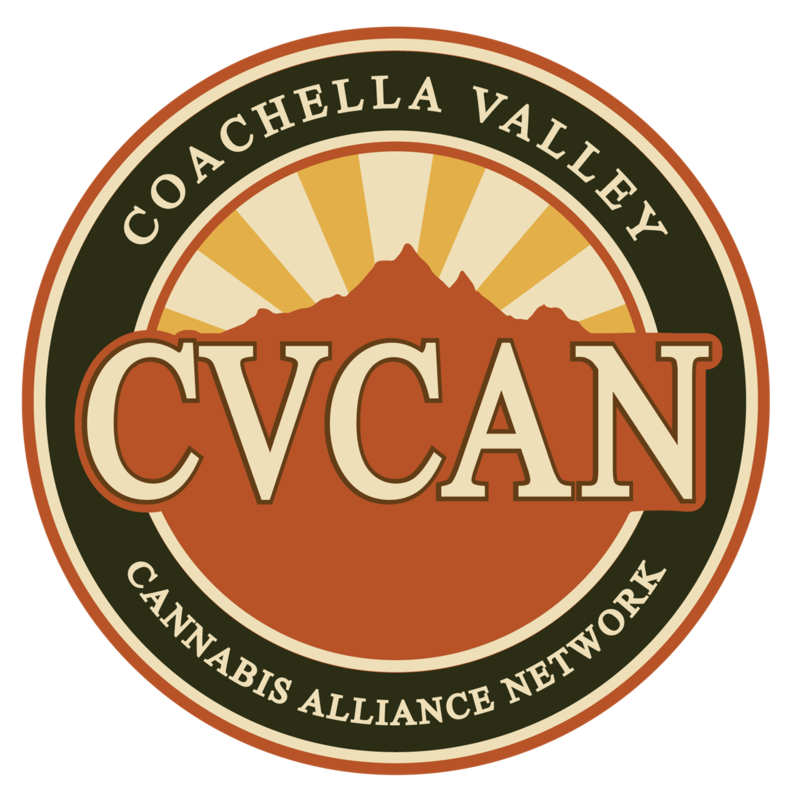 So mark your calendar for CVCAN's Cannabis Industry networking holiday mixer at our beautiful West-Valley venue: The Saguaro Hotel in Palm Springs. Check out the embedded flyer for details and don't miss out on this amazing networking opportunity! Tickets at the door, call 760-218-5447 if you have any questions.